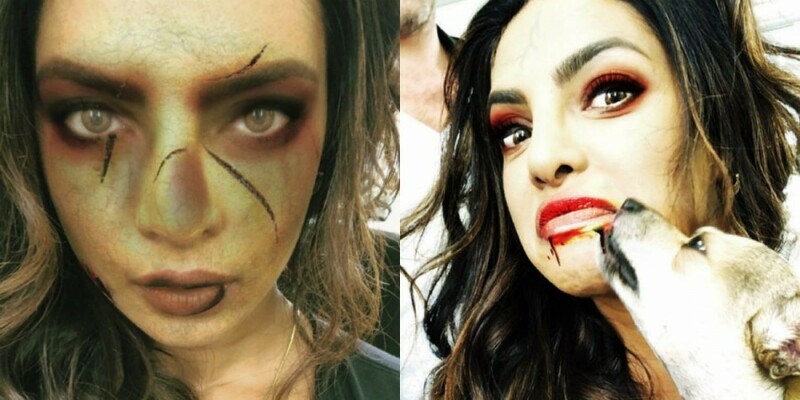 Priyanka Chopra’s SCARED Halloween Photos: The world celebrated Halloween on October 31 and so did Priyanka Chopra, who is currently in New York.Priyanka Chopra posted a few pictures on her Instagram story and it will scare the hell out of you!Isn’t this spooky? 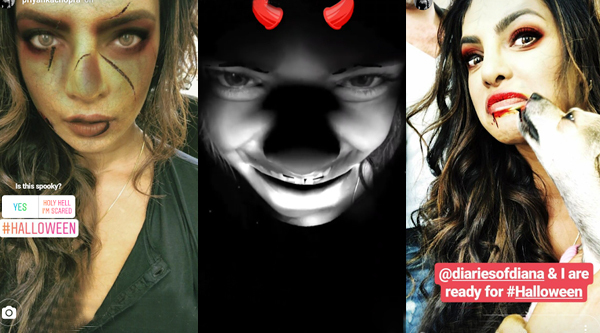 Priyanka Chopra took to her Instagram account to share her picture stories of her Halloween looks and trust us, they were s**t scary. Now the Baywatch actress doesn’t really need a reason to baffle us for we are always drooling over her and anything she does is enough to stun us. But not deviating from the topic and coming back to Halloween, her looks would actually make you wary of her and don’t blame us for turning a normal Wednesday into a scary one. It won’t be wrong to say that she went almost unrecognizable for a Halloween party. But there was a dash of cuteness to her scary avatar, thanks to her little pet Diana. The actress has to include her pet in everything she does and Halloween was no different.